Collecting email addresses should be a foundational part of your online marketing strategy. Email marketing services remain a very effective way to build brand equity, engage your target audience, and increase revenue. Every day, clever marketers and developers are devising new ways in which you can leverage the email addresses of your customers and potentials customers for your marketing purposes. Some reasons for collecting email addresses are more obvious than others. We’ll highlight what we think are three of the most compelling reasons for collecting email addresses in the current online marketing landscape. There was a time when the many in the marketing industry prophesized that, in the new age of social media, PPC, and remarketing, email marketing would become obsolete. Boy, were they wrong. Email marketing still has a staggering and unmatched ROI among online marketing techniques, returning $38 for every $1 spent. According to Pew Research – as of 2011, 92% of online adults use email, and 62% use it on a daily basis. Don’t fall into the trap of making excuses not to use email marketing for your business – it’s one among the oldest small business marketing strategies that work! If you’re not in the eCommerce industry, you may struggle with how to best use email marketing in a way that drives revenue. One of the best tools at your disposal is often establishing email automation workflows. For example, if you operate a professional services business that offers a solution to a seasonal or recurring need, like a pest control service, then creating a workflow to remind customers to schedule an appointment can have a drastic impact on your booking calendar. The power of automated reminders holds true for certain fields in the medical industry, like dentistry, as well. Whether you’re an eCommerce startup, or a professional services firm with an established client base, communicating with your customers and potential customers in a meaningful way is paramount to your success. While email is a great tool for selling, it’s also a great vehicle for communication. It’s true, social media has become probably the most powerful way to engage with your target audience, but email is still a great way to start a conversation, share valuable content, and stay top of mind. And what many don’t realize is that having email addresses can even improve your social media marketing as well (more on this later). Consider your customer service outreach. Using email is a very effective means for implementing or improving your existing customer feedback loop and should play a major role in your reputation management strategy. Perhaps the most powerful use of email address collection that has emerged in the last couple of years is the ability to build custom audiences using them on social media platforms. Let me ask you this, how many of your email subscribers follow you on social media? Do you know? You can find out by creating a custom audience from your subscriber list. Once you’ve created a customer audience, there are two very effective approaches to using it. The first is by targeting the people on your subscriber list that do not already like or follow your profile. These individuals represent that perfect target audience for you. They’re familiar with your brand and have already interacted with it to some extent. You should see better results in marketing to this group on social media than you would see marketing to a broad or even fairly customized audience that you create. The second and perhaps even more powerful way to leverage this list is to create a lookalike audience. Lookalike audiences are pretty much exactly what you would expect. They are new audiences based on traits gathered from your custom audiences, like the one you created from your email list. You can imagine the power of using the traits of your actual target audience versus making your best guess as to what traits you believe them to have. Creating, managing, and successfully marketing to your audiences on various social media platforms is a very time-consuming endeavor. So, unless you have a lot of free time on your hands or a social media manager, we would recommend working with a Houston social media marketing company to help you effectively employ this method of advertising. If you’re not currently collecting email addresses, we’re not going to sugar coat it, you’re behind, but you haven’t missed the boat entirely. The Blog Subscription – there are many benefits of blogging for your business, and making it easy and obvious for your users to subscribe to your blog has long been a very successful approach for collecting email addresses. Offer Something of Value – the value based proposition approach is another tool for collecting emails that has a strong history of generating results. Create something of value to give to your target audience, create an eye-catching call-to-action, and watch the emails flow in. Collect Emails on Social Media – almost every social platform now has a way for you to collect email addresses from your profile. If you post appealing content to your social accounts and often engage with other users, this can be a great way to collect emails. The Exit Motion Pop-Up – you may have noticed this technique growing in popularity lately, that’s because it works. Include a script on your website that tracks if a user makes a motion to leave your site and pops up a “Wait, sign up before you go” style pop-up. 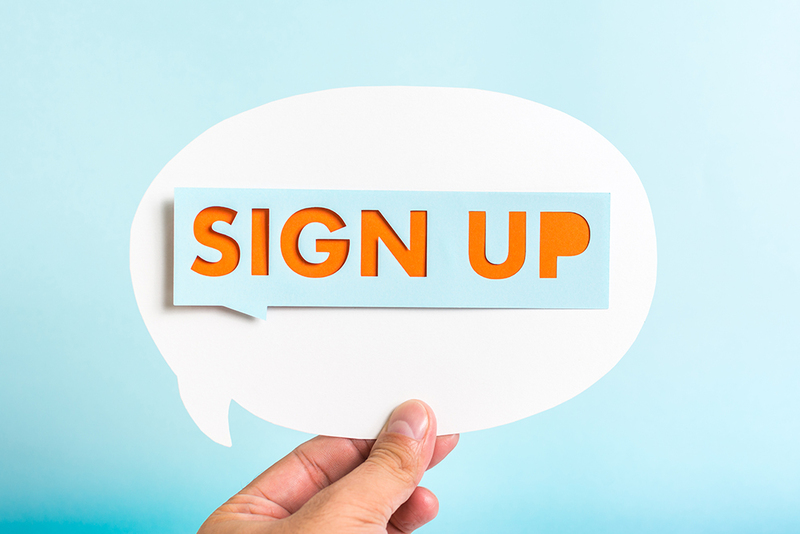 The Old School Event Signup Sheet – for many in the brick and mortar or B2B marketing space, personal interaction is still a very real aspect of their business. Having a signup sheet or “business card bowl” still holds the potential to collect a surprisingly large number of email addresses. There are compelling reasons why maintaining an email list is a valuable marketing tool for your company. Some reasons may be beyond your current level of marketing sophistication, or not relevant at this time for your business. Whatever you do, don’t make the mistake of dismissing the value of an email list if this is the case for you. As your business grows and your marketing with it, you will be glad that you spent the time now to ensure you collected emails. Who knows what the marketing industry will be capable of using emails for in the future, but one thing seems fairly certain, the MARION marketing firm will still be encouraging people to collect emails as a fundamental piece of their overall marketing strategy.